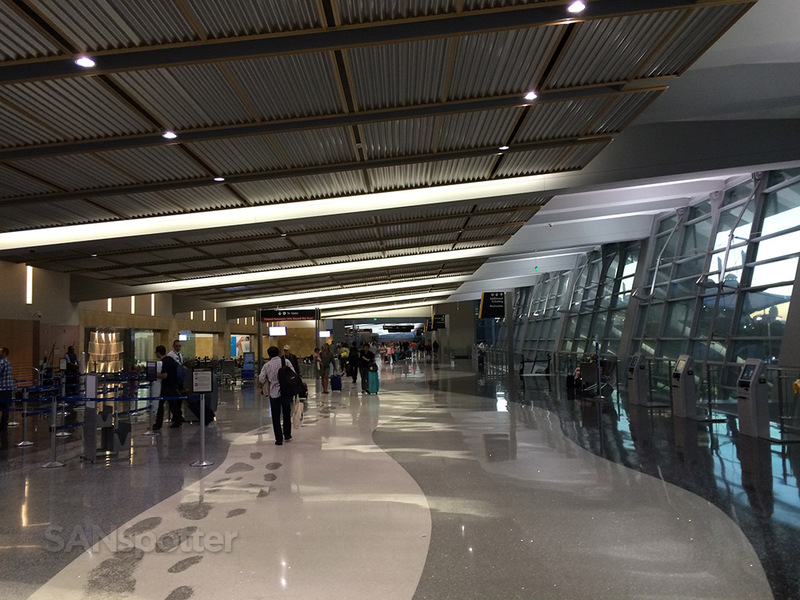 Terminal 2 west is just stunning – it’s a much better home for UA than the old terminal 1 was. With that out of the way, let’s catch back up to real time and get this show on the road to SFO. 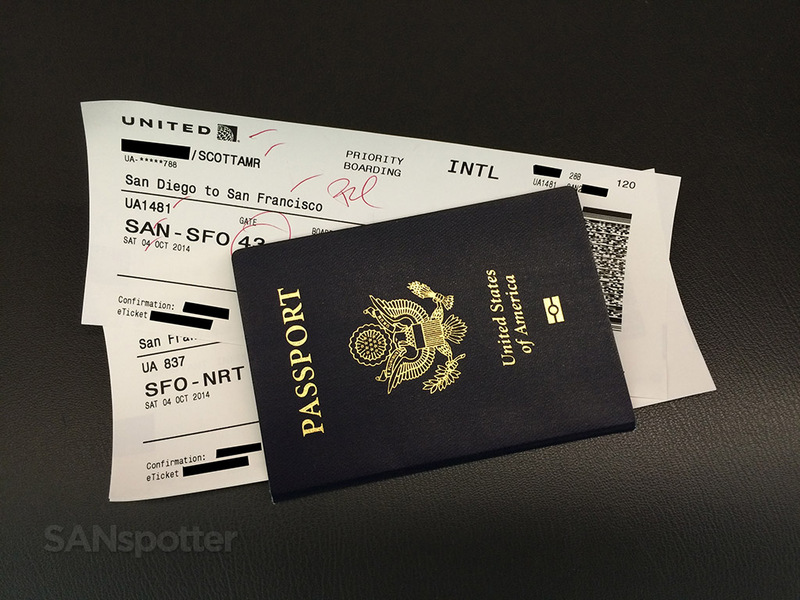 I love seeing my passport stuffed with international boarding passes! 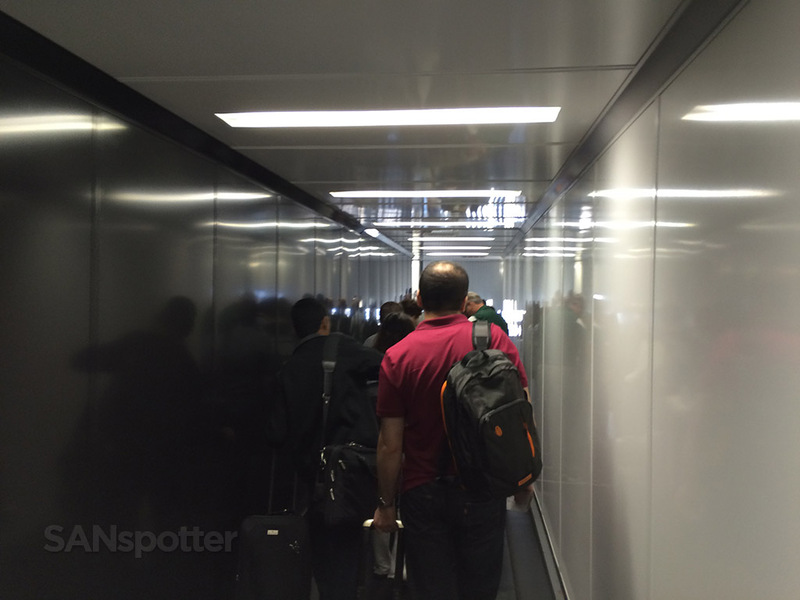 It occurred to me as I was boarding the aircraft that I have been doing a lot of flying to and from San Francisco this year. 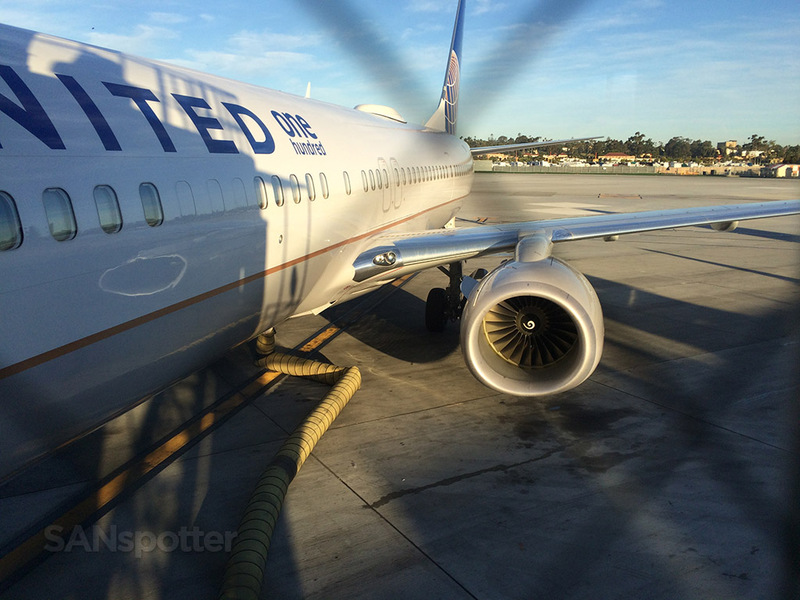 I was just there in August on a trip via Virgin America, and I kicked off my trip to Seoul last April with a very similar SFO-bound United Airlines flight just like this one. 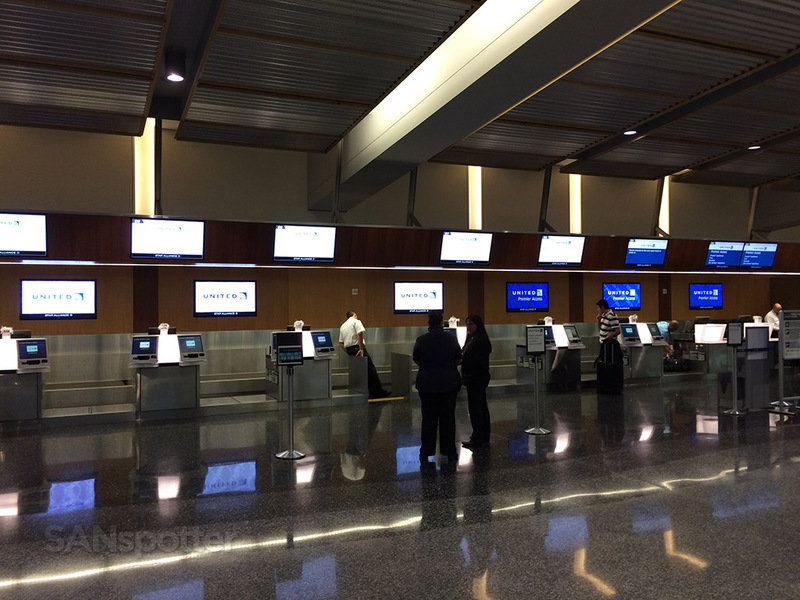 Even though that totals only three flights, it didn’t stop me from thinking “here I go again”. 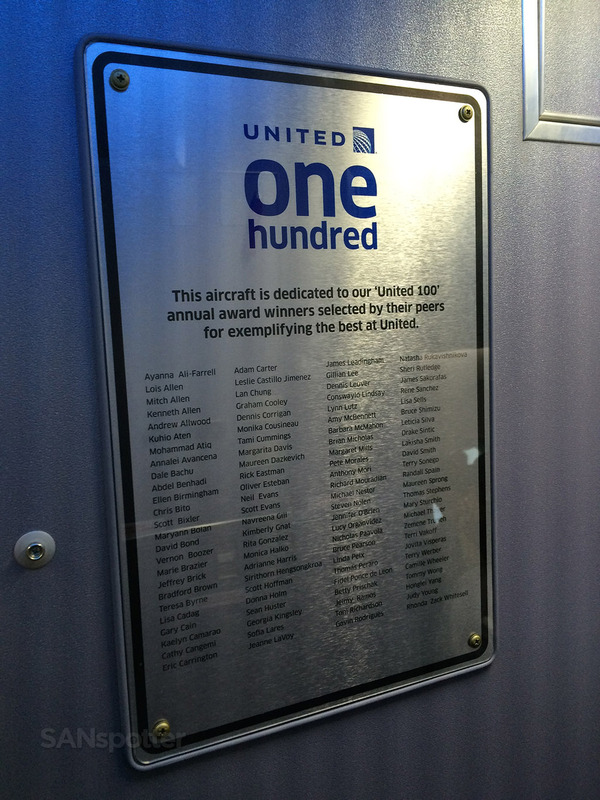 Immediately upon entering the aircraft, I noticed a plaque on the closet wall that signified this aircraft as being designated to the “United 100” annual award winners. I didn’t even know that they designated an aircraft for this, so that was something interesting to think about as I walked back to my middle seat in row 28. 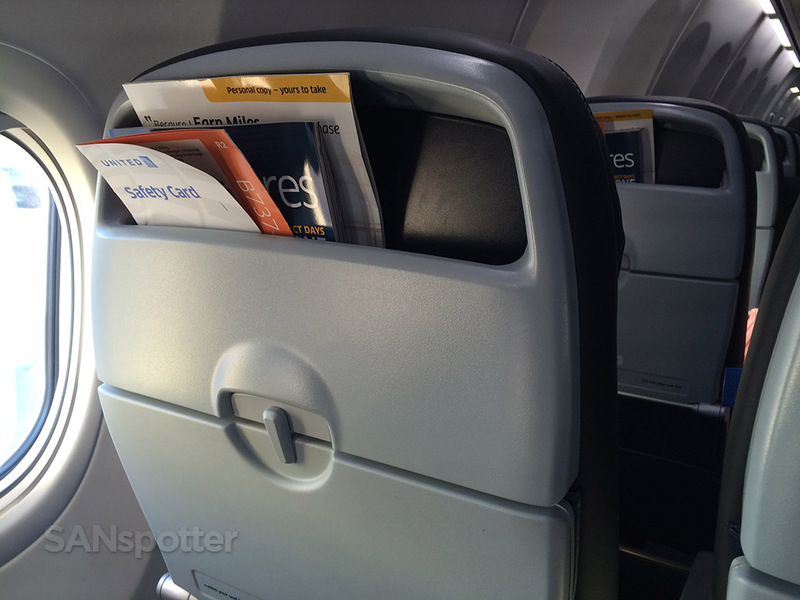 Yeah, the dreaded middle seat. As a matter of fact, three of my flights (the longest ones) on this trip involve sitting in a middle seat so my wife could have the aisle, and that made it difficult to get excited about this adventure. But it was important to me that she was comfortable, so it wasn’t the end of the world or anything. 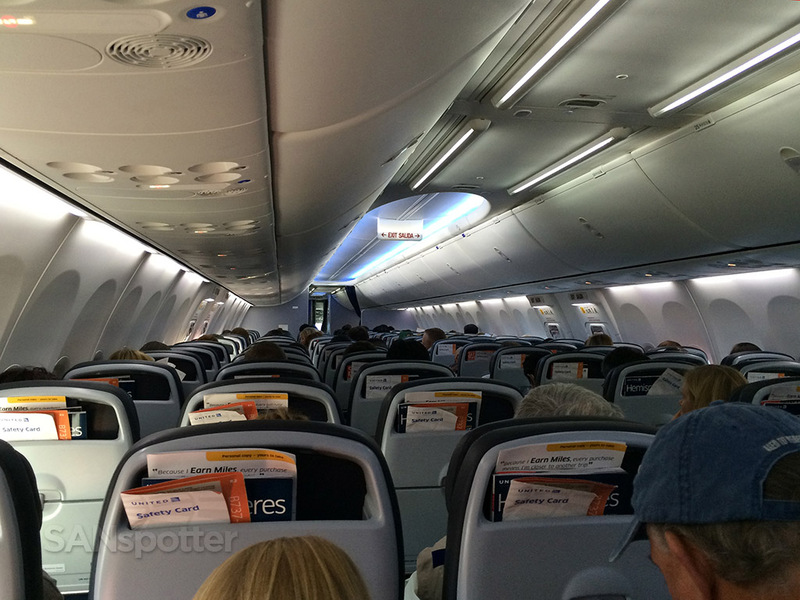 This particular aircraft was fitted with slimline seats, which I thought helped to make the cabin look clean and fresh. 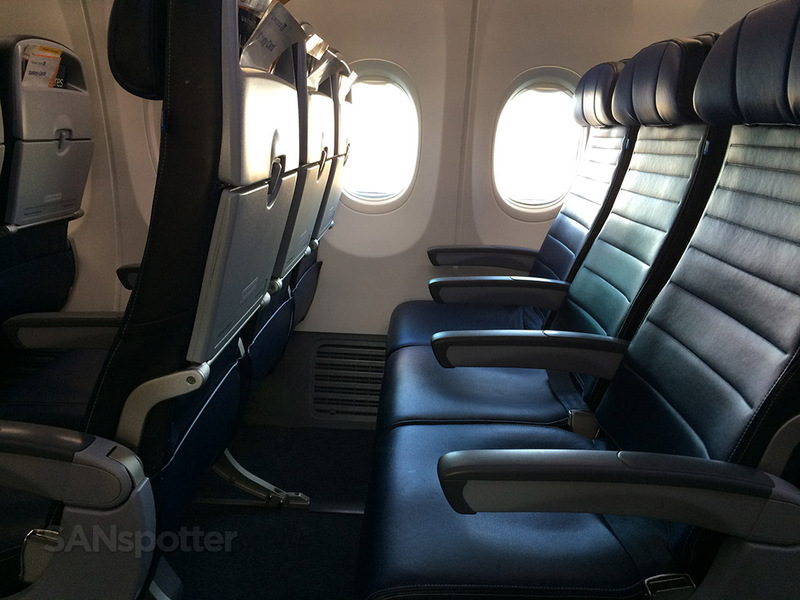 Yes, the seats were a bit more firm than a normal seat, but I didn’t find them all that uncomfortable like others have been saying. The added bonus was the in-seat power outlets. The one at my seat wasn’t tight enough to hold the plug for my iPhone however – I actually had to hold it in with the back of my leg so it wouldn’t fall out. 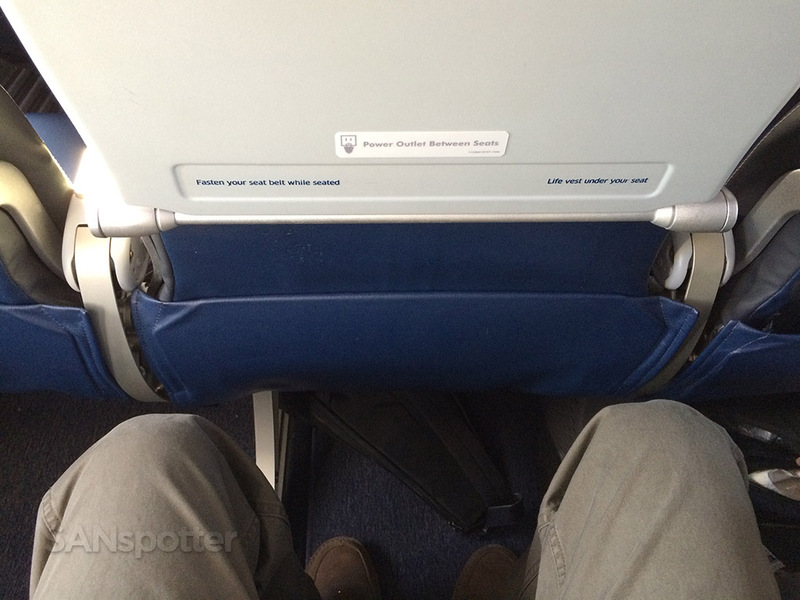 To be honest, I didn’t even really notice a difference in leg room compared to a 737 with regular seats – but it was probably the same anyway, and they just crammed more rows in. 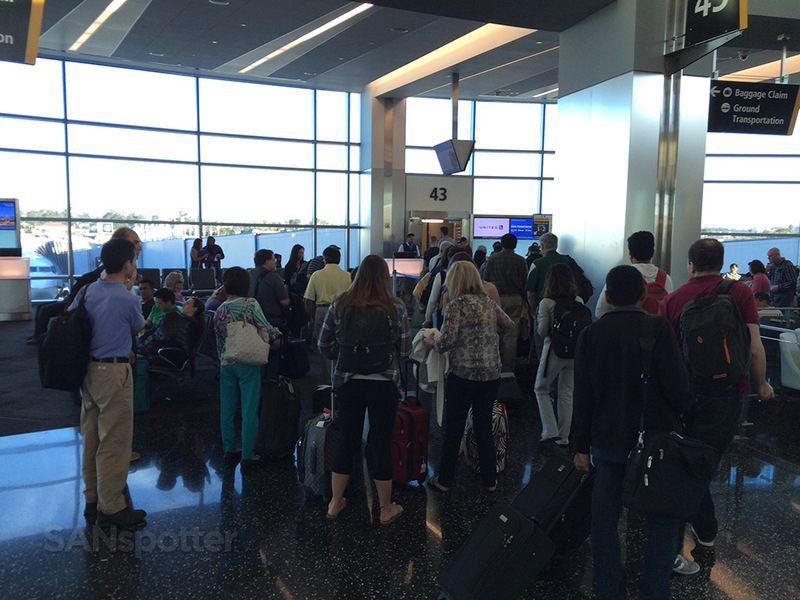 The flight was completely full and we departed right on time. I actually fell asleep soon after takeoff and didn’t take any more pics after that. The fact that I was able to soundly sleep in a middle slimline seat should say a lot about how comfortable this flight was. It would have been better up in first class I’m sure, but oh well. 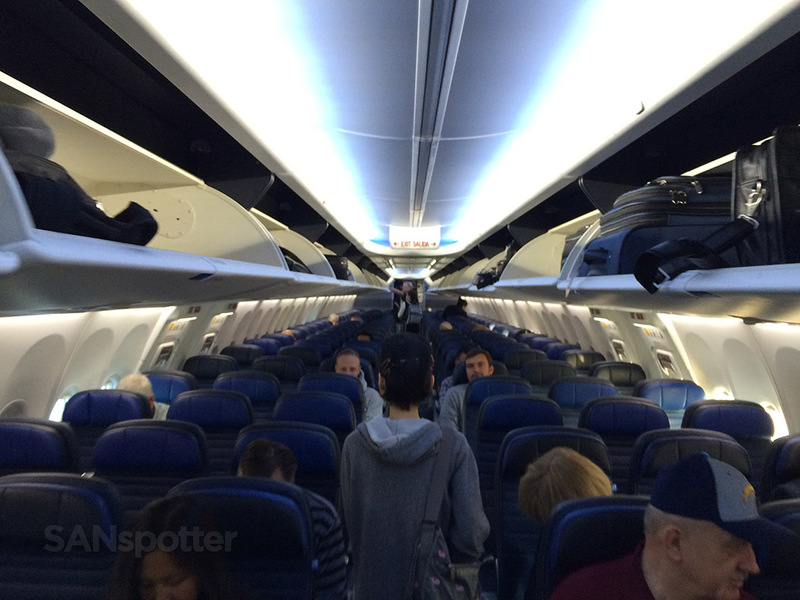 737-900 interior as viewed from seat 28B. This was the last photo I took before falling totally asleep for the rest of the flight.